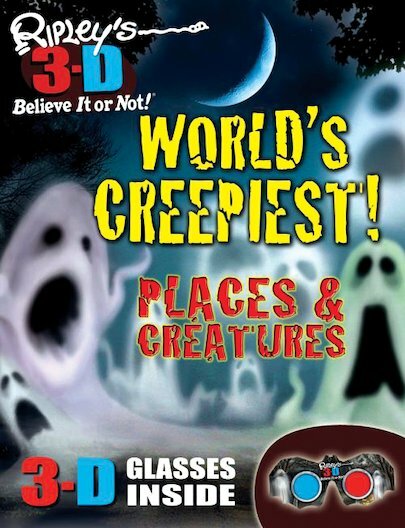 Ripley’s bizarre, spooky world – in 3D! Step into the unique universe of Ripley’s Believe It or Not! for a truly terrifying adventure. Prepare to be scared by freaky phantoms, mythical monsters, haunted houses and creepy creatures. Whether you believe in them or not, they’re waiting to leap off the page and grab you! This spine-chilling book includes cool 3D glasses that bring the myths and monsters to frightening life!